It’s January 1st, and I’d like to wish a happy New Year to all readers of this blog (and happy birthday to me). 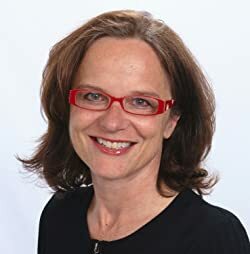 Let’s start off the year strong by getting our book marketing in check, with advice courtesy of email expert and self-published author Gisela Hausmann. Gisela has written a branded series of “naked” (no-fluff) books for indie authors under her own publishing imprint, Educ-Easy Books. These are short, straightforward books—many of which I’ve read—that are designed to help authors with promotion, such as Naked News for Indie Authors: How NOT to Invest Your Marketing $$$, NAKED TRUTHS About Getting Book Reviews, NAKED WORDS 2.0: The Effective 157-Word Email, and Naked News for Indie Authors: How to Get on TV. Marketing doesn’t come naturally to most of us authors, but it’s a learnable skill. With a little guidance, it’s amazing what we’re capable of. With advice from Gisela’s books, I have managed to score quite a few more reviews for my travel memoir. She has also changed the way I write emails (tip: never start with “I”). In the interview below, I asked Gisela Hausmann how to approach book reviewers and influencers, and of course, how feasible it really is to get a spot on the local news. That’s a great question. Sometimes I feel as if I have lived through the entire history of publishing, aside from the invention of the Gutenberg Press. I really started out designing and publishing two coffee-table books, in 1988 and 1992. Then, there was no print-on-demand, so I learned everything that needs to be learned about printing off-set and publishing hard-cover books. When my son entered the public school system I began to publish educational books for preschoolers. Some of the easy teaching concepts that my own (European) teachers used were unknown in the US. I published four books; everything went well, and I loved what I did. Then, in September 2000 my husband died unexpectedly. Suddenly being the only breadwinner, I had to look for “safe” employment. This was a really tough time for me. Not only was I the only parent, who had to handle “everything,” on top of that the Great Recession struck, too. I had to change jobs often and needed to learn a lot. The one talent that helped me the most during these immensely difficult years was my communication skills. So, I worked on perfecting them, analyzed 100,000+ emails for effectiveness and personal appeal, and became an expert in email communication. When, finally, the Recession ended and my children graduated, I decided to publish the knowledge that had helped me so much, so I could help others to get ahead. The other thing I had learned during my “desperate years” was that our most valuable commodity is time. When we are looking for information we don’t want to read through 300 pages; we are looking for essential knowledge we can apply immediately. That prompted me to publish my series of “naked (no-fluff) books.” All of them can be read in under two hours and readers can apply what they have learned instantly. Each of my books features “action steps”: what to do, step-by-step. You’re a multi-award winning author. What advice do you have for authors who want to enter themselves in writing competitions? Awards? Haha… Winning one is not as easy as it once was. Today, so many books are getting published. Authors need to know that, typically, about 1,500 to 2,000 books get entered in most awards, though, of course, there are more popular and less popular genres. I would advise every author to enter at least one competition. However, authors should check really check out the award before they enter. How many categories are there? Which books did the judges appreciate in the past? You can find that out easily, by pulling the winners of the last few years, then go to Amazon and read the blurbs and maybe even a sample. Once authors engage in that kind of research, the experience will help them grow as writers. I like that you start your books off with a story. In How NOT to Invest Your Marketing $$$, you discuss how you wasted effort pursuing someone who wasn’t interested, and provide information on how other authors can avoid doing the same. In How to Get on TV you describe a (very creative) way that you pitched Oprah. Though she never reached out, you’ve been featured on other networks many times. How feasible is it for unknown, indie authors to score a TV interview? In the US, getting on local TV is relatively easy, even for an unknown author; you just have to pitch the station’s anchor correctly. The important thing is that authors don’t just aim for “getting on TV” but make it a part of a planned media campaign. Today, pretty much every station puts their news clips on the Internet. Therefore, authors should ask the anchor to give them the link. Then, the authors can pull off a screen-print and put it on their website. This works well, whether the author had a good show or not. Seeing that an author has been on TV impresses readers and they are more likely to buy this author’s book. If an author’s guest appearance was a good one, they should link to the actual video and also “reuse” the appearance on social media platforms. Readers like to see authors on TV. It makes them feel as if they know the author better because they can see the author’s passion for their work. That implies that friends and fans can forward the video to their friends which helps to sell books. Also, in general, statistics show that people who see an author on TV are more likely to buy paperback copies, which make more money for the author and also improve the book’s Nielsen BookScan rating. That’s very important because bookstores as well as libraries consult the Nielsen BookScan rating when making the decision to buy or stack up on books. Getting featured on TV and in magazines has another very important effect. It is imperative that authors get their work noticed. Of course, everybody tries their luck on various social media platforms but wherever they go, they have to share the space with thousands of other authors. In contrast, though not everybody in your hometown watches TV every day. Once you are on, many viewers will see you and watch you and what you have to say, specifically. Obviously, being on TV can be much more effective than posting 100 tweets. Equally, if an author’s book is featured in a magazine, there won’t be more than half a dozen other books, so each book will receive more attention. Lastly, speaking in public and pitching the media are useful skills for any author, but they have to be practiced. It is for this reason that every author should seek publicity. You’re listed among Amazon’s top reviewers and you’ve also written a book to help authors land more reviews. Why should authors seek reviews from Amazon reviewers as well as book bloggers? Firstly, Amazon top reviewers do not write negative reviews too often. To keep their rankings they have to read many books. If they don’t like a book they will simply put it away and take the next one. Since I read a lot of nonfiction books, I do write negative reviews if I can see problems. The reason is obvious—I don’t want other readers to buy a book which may have serious flaws. However, like most other top reviewers, I put novels I don’t like aside and carry on. Therefore, if an author seeks top reviewers’ reviews early, they can weaken the effect of a potential negative review which might get posted in the future. Secondly, it is no secret that Amazon deletes reviews which Amazon’s algorithm identifies as “friends’ reviews.” For instance, there are all kinds of “reviewer clubs” on Facebook. Though the authors who join these clubs don’t do review exchanges per se, the way how they go about getting reviews leads to many of these reviews getting identified as “reviews from friends.” That hardly ever happens with an Amazon top reviewer’s review. Amazon top reviewers’ rankings depend on the number of great reviews they write; consequently, they will make sure that they do everything perfect, so Amazon won’t delete their reviews. Thirdly, authors whose books receive too many too short reviews are often looking for better/more elaborate/more in-depth reviews. Since Amazon top reviewers’ reviews have to be found “helpful” to score, they write very good and passionate reviews. Lastly, getting a great review from a reviewer with a badge (Hall-of-Fame, Top-50, Top-100, etc.) is considered to be a badge for the author, too. You’re an email expert and you’ve written a book called the The Effective 157-Word Email. As writers, we’re always emailing strangers, whether they’re magazine editors, reviewers, or TV networks. Are there any email faux pas that authors should avoid when contacting influencers? For instance, I receive many emails which include the following sentences: “I am looking for quality reviews on Amazon to get feedback from readers,” or “I would really value your opinion!” Of course, that’s true, but since most reviewers receive anywhere from a dozen to two hundred requests per month, reviewers can’t be concerned with what the authors are looking for or would value. There isn’t enough time in the day to read all books and help all authors, who all want the same thing. In contrast, an author who focuses on the “you,” the reviewer, and writes something like “You won’t find a funnier book than my book …xyz…, because …” is bound to get the reviewer’s attention, because every reviewer is looking forward to reading the books they enjoy reading. Obviously, that’s not all. Writing a really effective email is an art. Still, just focusing on “what will YOU (the recipient) be interested in” will help to improve any email, remarkably. Why did you decide to publish under your own imprint, Educ-Easy Books? And do you recommend that other authors publish books under their own imprint, or look for a traditional publisher? As mentioned before, I really started out writing educational books for preschoolers. My books were very popular with teachers. Of course, I guessed that when I set up my publishing company and therefore picked a name that would make clear, “I am writing books that will help others to teach/learn easily.” This is why I recommend that every author who wants to set up their own publishing company thinks about a company name that conveys a message. Also, an author who self-publishes their first book has an opportunity to gain a following and fans, and might have it easier to attract a great publisher for their second or third book, because any author with a following looks more attractive than an author who has only a manuscript. Thanks Gisela Hausmann! For more on Gisela, you can check out her Amazon page, follow her on Twitter, or read her posts over at Gisela’s Straightforward Blog. PS – I’ve also featured Gisela, as well as a couple of bestselling self-published authors, in this Entrepreneur article about how successful authors market their books.